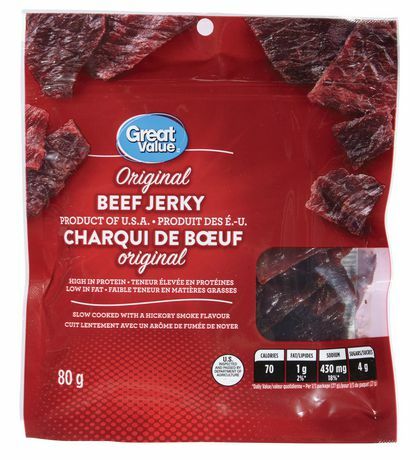 Great Value Original Beef Jerky features tender, chewy strips of slow cooked beef with an irresistible hickory smoke flavour. 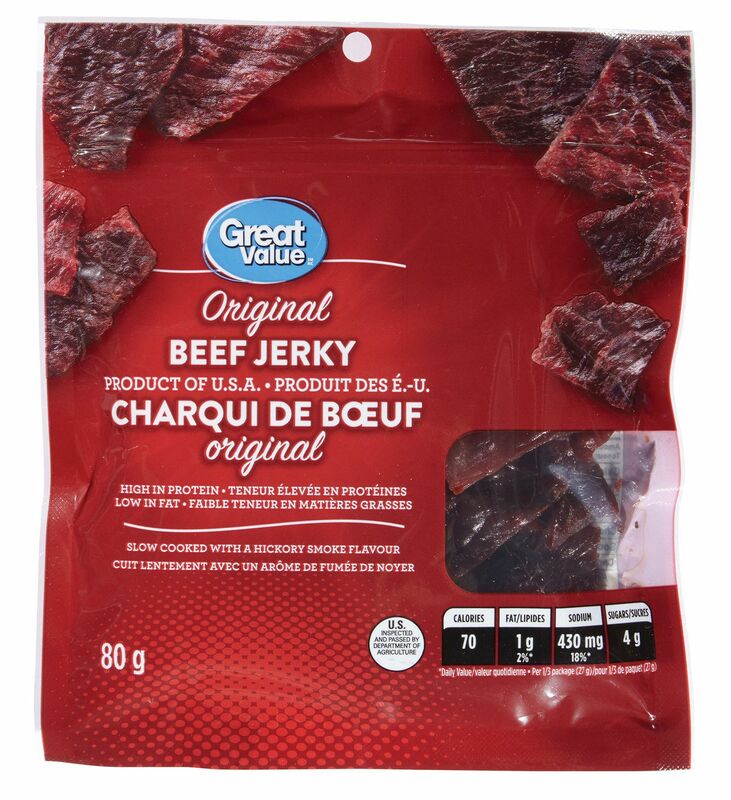 Deliciously high in protein and low in fat, the flavour of this meaty snack is enhanced by sweet brown sugar and a savoury blend of spices. 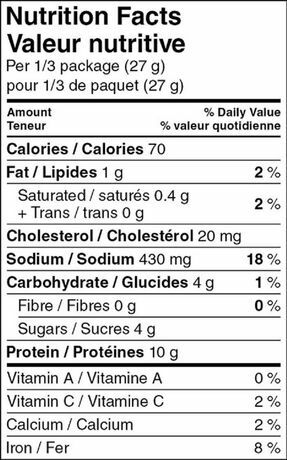 Beef, brown sugar, beef broth, salt, flavour, spices, vinegar, hydrolyzed soy protein, sodium erythorbate, citric acid, paprika, sodium nitrite, natural hickory smoke flavour.Contains: soy.